Dry Crawl Spaces is a crawl space repair contractor serving Western North Carolina. We are located in Cashiers and service Highlands, Sylva, Franklin and Lake Toxaway. Please contact us for a Free crawl space inspection. During the summertime, crawl space humidity enters through the crawl space vents. And in the winter, crawl space vents in NC allow frigid air into the space. Combined, these two forces mean a continuous drain on your utility bills as well as a rotting, decaying crawl space under your home. Additionally, vented crawl spaces in Sylva, Cullowhee, Franklin, and Brevard, North Carolina will create an access point for insects, animals, and all types of pests, inviting infestations in your home. If it's in your crawl space, it's in your North Carolina home! Dry Crawl Spaces is the only crawl space contractor serving western North Carolina. Our patented Crawl Space Encapsulation System prevents warm, humid outside air from entering the space, yet provides a passive barrier for radon. 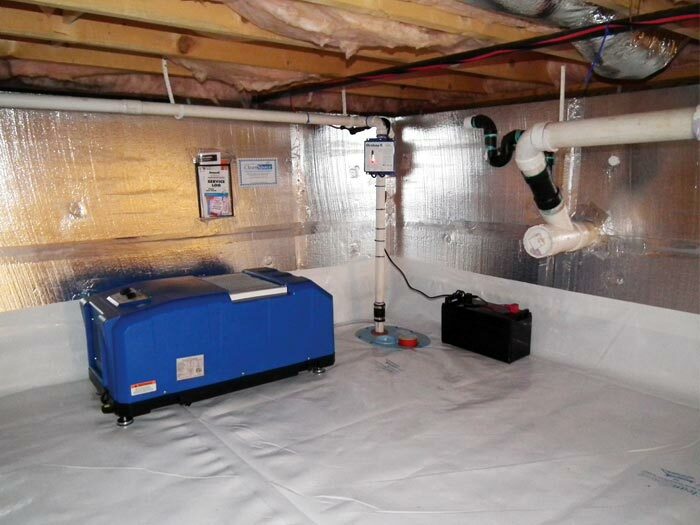 By stopping the outside air infiltration, the system lowers the relative humidity within the crawl space. As a result, the lowered humidity levels helps to prevent future crawl space mold growth and wood deterioration. 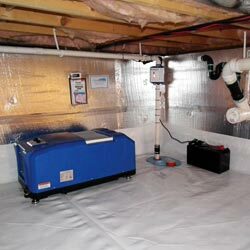 We provide permanent solutions to common crawl space problems while creating healthy living environments for our clients. We Service cities like Balsam, Cashiers, Cullowhee, Dillsboro, Glenville, Sylva, Tuckasegee, Webster, Whittier, Franklin, Highlands , Otto, Scaly Mountain, Balsam Grove, Brevard, Cedar Mountain, Lake Toxaway, Penrose, Pisgah Forest, Rosman and Sapphire of western North Carolina. Click here to view our detailed service area. To get a FREE inspection and estimate within the area please call us or email us!